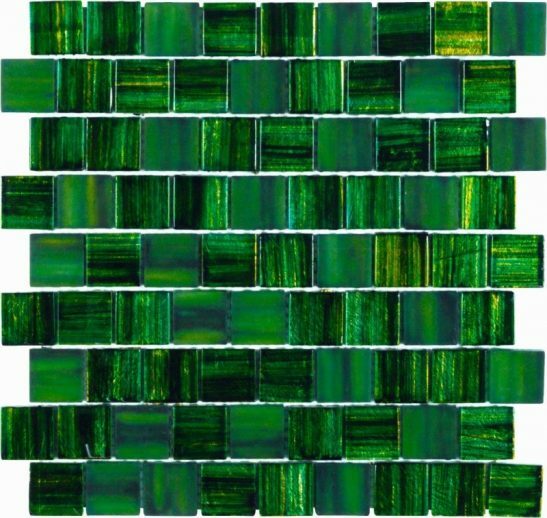 With deep, rolling tones of green, the Alegria Mosaic tile by Dune will bring rich character and a fresh feel to any space. This majestic mosaic is made up of glossy glass and matt glass squares to create an eye-catching arrangement. Hints of glittering gold enhance the elegance of the overall effect. With the Alegria Mosaic you can create a stunning floor to ceiling feature or cover a smaller area for a splash of vibrant colour. Try refreshing a bathroom, wet room or kitchen with the artistic effect of this masterfully made glass mosaic tile. 286mm x 286mm sheet size.